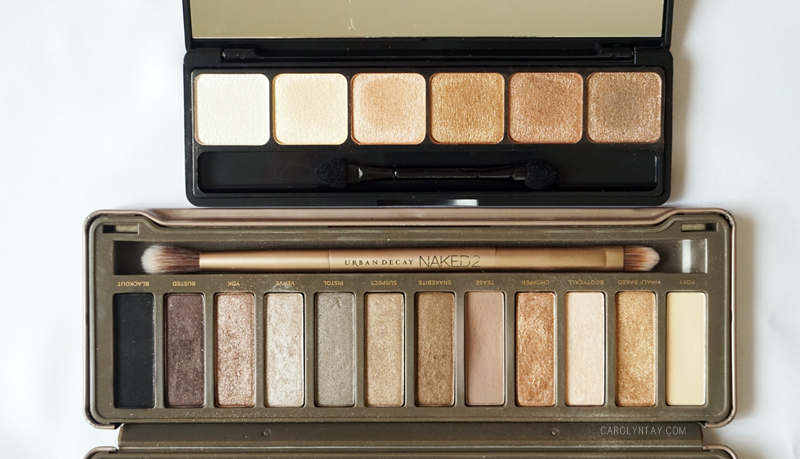 Thinking of splurging on Naked 2 palette or adding another great neutral palette? I got a good one for you ♥ Unlike the Make Up Revolution Iconic 2 Palette, this palette only contains shimmer shadows. In the past, I have been staying off E.L.F shadows because I had a few that disappoint me. However, this palette was highly raved on YouTube, I was so curious about it. You can check the full swatch on my swatch post on the Naked & Sunset Palette. E.L.F also claims that this is their best formula eyeshadows! Before I made my purchase, I wanted to do more research on it. Unfortunately, there weren't any post comparing this two side by side. To make everyone's life easier, I'm going to identify which shadow matches best! 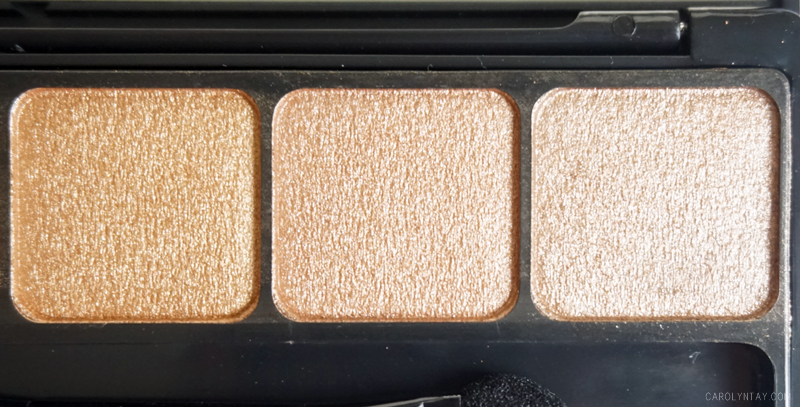 Note: there is no number/names of the shadow in the E.L.F Naked Prism Palette, I'm just going to name them by number. 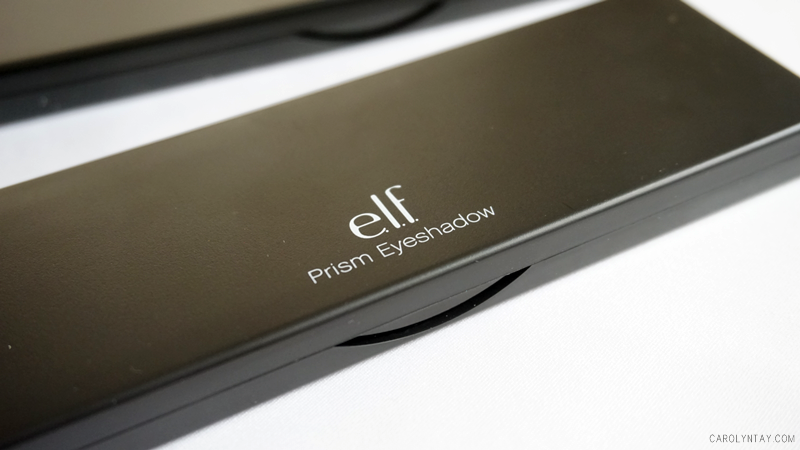 Packaging: I love the E.L.F one because it is so thin, sleek, sturdy. It is lightweight and I can easily chuck it in my bag. 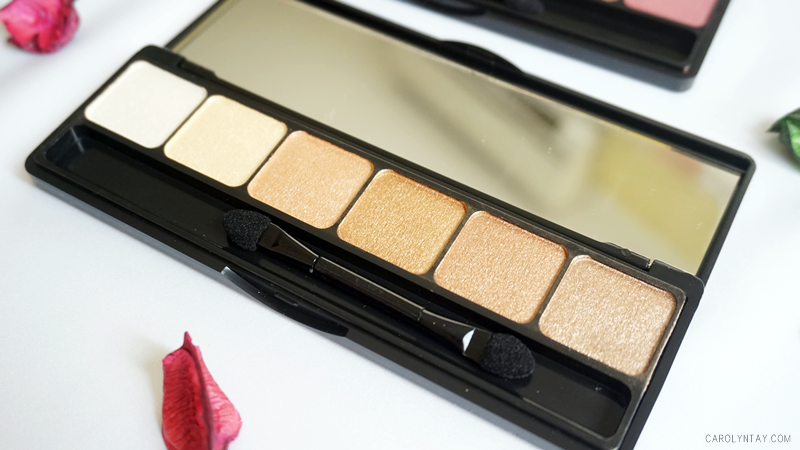 The palette also comes with a long rectangle mirror with a mini dual sided applicator. Some palettes around this price don't even come with a mirror! 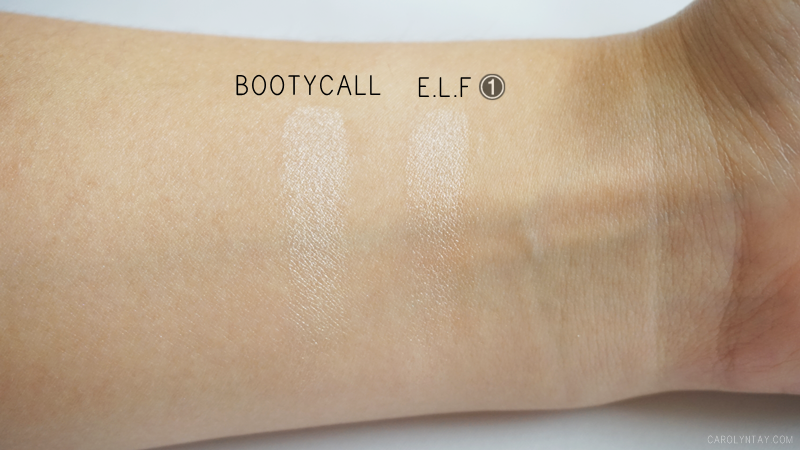 E.L.F (1): Out of the first 3 shades, only this one matches with the Urban Decay's Naked 2. This shadow is almost identical, you can barely notice a difference at all. I think only 5% difference. I know these three looks almost the same, trust me, it's not. E.L.F (4): This eyeshadow is more of a tad lighter bronze than Urban Decay's Chopper. It is very similar to each other isn't it? Chopper is also more tan and a bit more metallic. 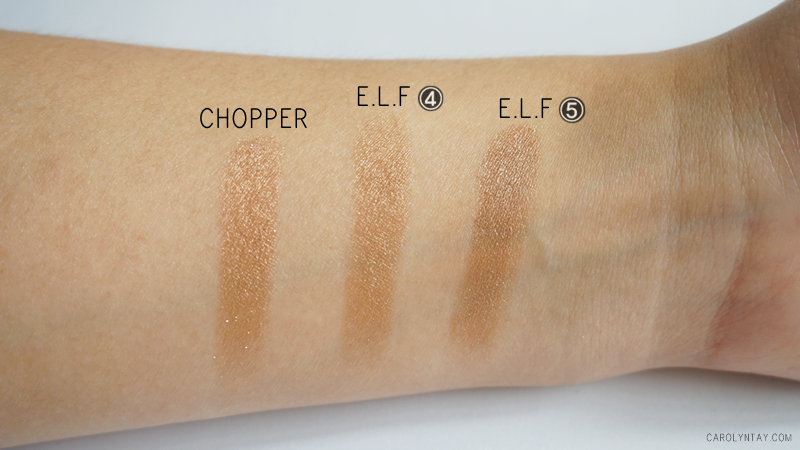 E.L.F (5): The no.5 eyeshadow is also very similar to Urban Decay's Chopper, just that it has more chocolate in it. 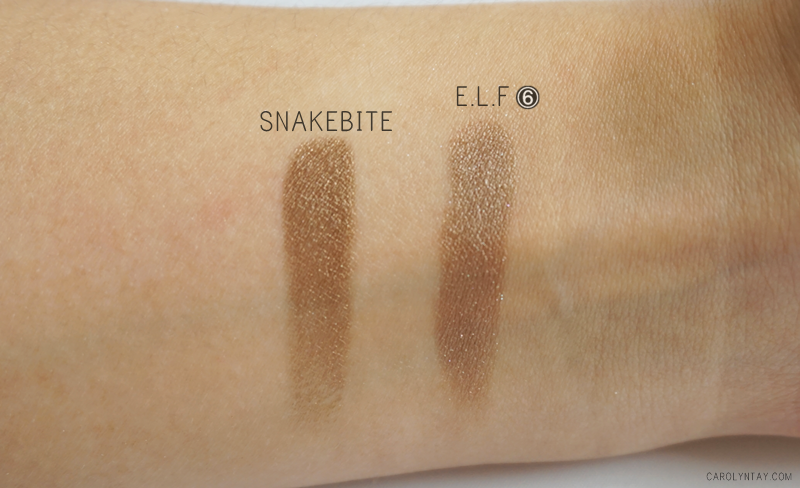 E.L.F (6): This two eyeshadow is also very similar to each other, but it's kinda obvious that Snakebite has more brown to it. 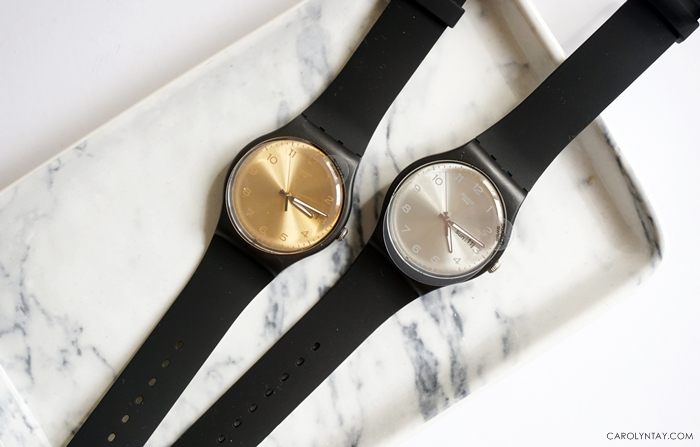 E.L.F's no.6 is more cooler and greyish. I definitely recommend you grabbing one to add it to your collection. These shadows are really buttery and their pigmentation is as good as Urban Decay. 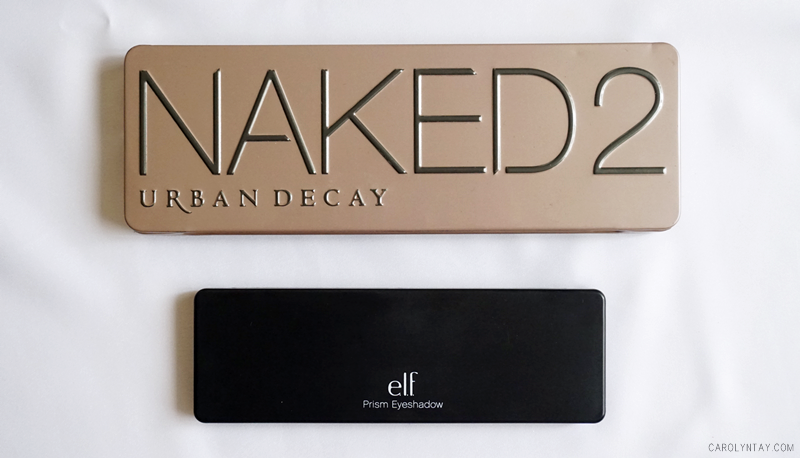 You won't feel like you are using a drugstore eyeshadow! 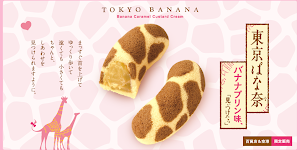 Moreover, it is only $10, so worth the money!